A new wetland, dedicated to migratory birds, created over fields previously extensively cultivated. By choosing to create a new area of great ecological and landscaping interest in these fields, an occasion for comparison is generated thirty years later, with the work of Agnes Denes (Wheatfield – a confrontation, 1982) to whom the work is dedicated. The theme of the discussion addresses the actual value of the soil, particularly in a situation such as this where the activity of man has heavily depleted the ecological and landscaping quality and functionality. The title "Beyond Agnes Denes", was chosen to emphasize the forward efforts, on the part of the public, to apply the concept of common heritage in regards to preserving the ecosystem on the landscape. The work in fact attempts to bestow once more the ecological and landscaping value to the area that it used to have before the reclamation works over the centuries. 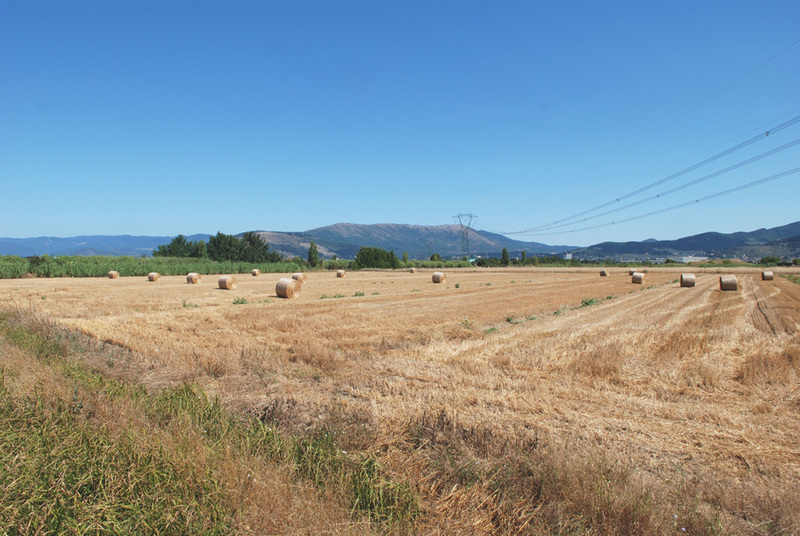 If Agnes Denes emphasized the importance of the land for its agricultural productivity (which found itself compromised when carelessly used as a landfill), then today the concept has evolved even further; since it is now understood that fundamentally it is essential to have the natural landscapes that used to be present before the heavy footprint of man. Thirty years have now passed and the knowledge regarding landscape and territory in regards to: the need for natural green areas close to the city, the surplus of western region's primary material to be utilized to feed humanity (for several products and the outsourcing of production in respect to their consumption) and the decline of several species of flora and fauna typical of the area, permits today an intervention in the name of public interest for the purpose of reclaiming the ecological landscape of a region that has long been sacrificed for other human needs considered more valuable. Just a few days after the first flooding of the area, aquatic birds arrived in the area. The presence of these migratory species confirms the importance of undergoing similar decisions to reevaluate a landscape since it reinforces the correct value of resources and the 'global' role that many areas could have if left free to again reclaim their own natural character. All together making evident, how throughout the world, our natural environment and land are interdependent, all part of one global ecological net. For its realization 12,000 cubic meters of land were moved with the use of excavators (approximately 300 hours) and trucks (approximately 250 hours). Subsequently there were added approximately 30,000 cubic meters of water for the first flooding. 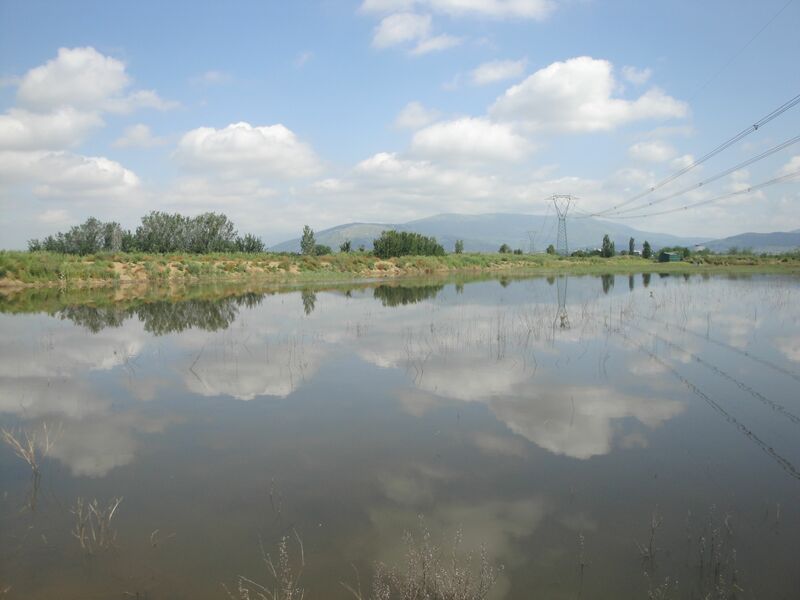 To complete the work and enhance the ecological and landscaping functionality of the work, several autoctonal aquatic and riparian species were introduced. Work undertaken by volunteer groups (social art interventions). - Ducks: rest, refuge and feeding. - Waders: rest, refuge and feeding.